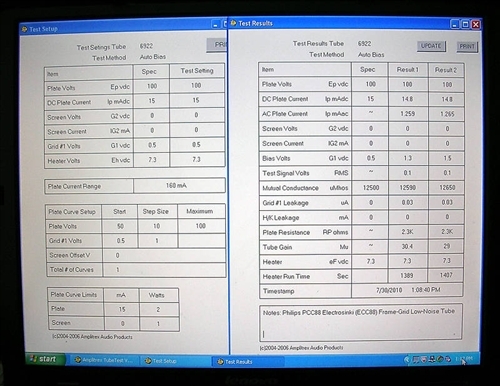 Select 1 FOR A PAIR or select 2 FOR A QUAD! 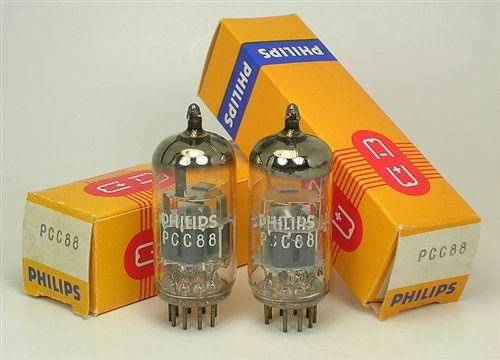 These Beautiful NOS Philips tubes are out-of-production and were Made in Nis,Yugoslavia by Electrisinki Industries with Philips tooling machinery in 1968. 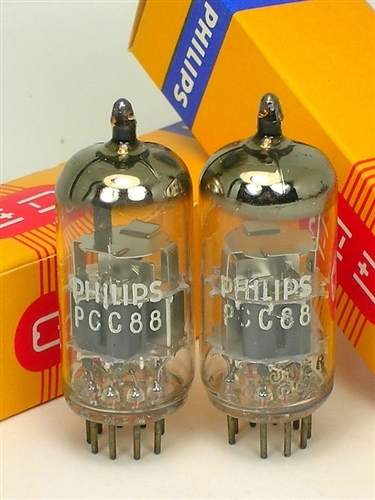 These Philips PCC88 are drop in replacements for ECC88/6DJ8/E88CC with a slightly higher heater specification of 7 volts producing a much longer life and lower noise threshold when used in place of ECC88/6DJ8.